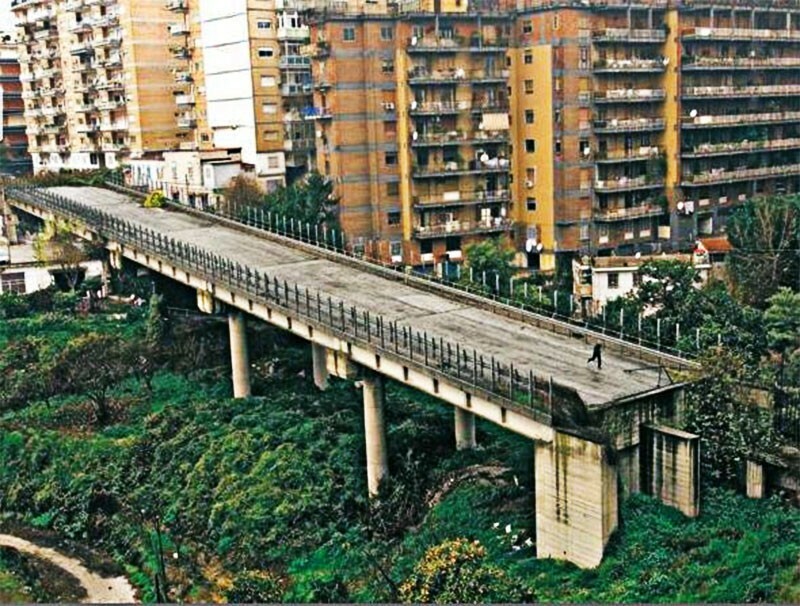 A 2014 report by Italian government estimates that more than €3 billion has already been spent on 693 unfinished (and abandoned) structures in Italy. The bridge of San Giacomo dei Capri in Naples looks like it came out from an an apocalyptic movie. It’s a total architecture nonsense. Around 800 millions of liras has already been spent on the project due to the inability of the City of Naples in proceeding with the expropriation. 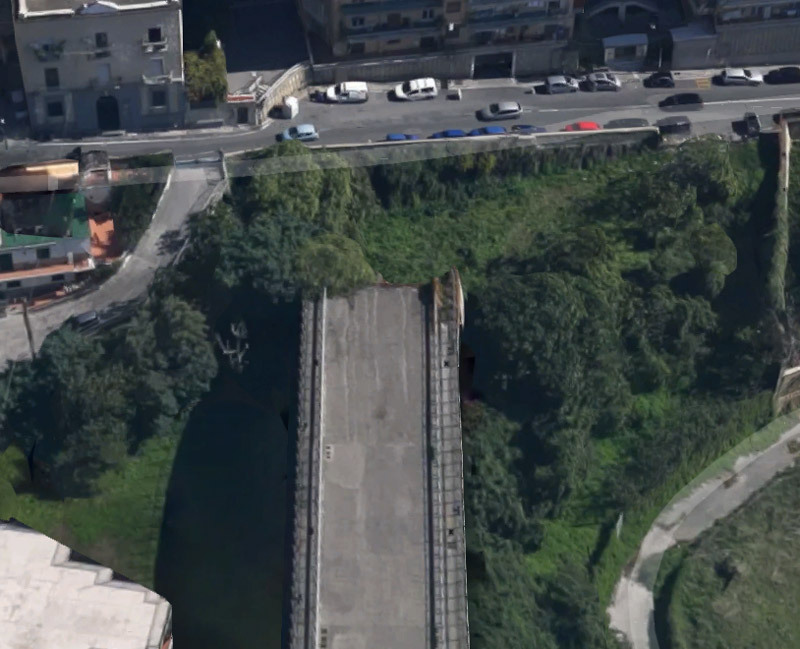 The bridge is still there, a meter and a half away from the windows of the surrounding buildings.